Curve Dental is a cloud-based platform that includes a suite of practice management solutions for dental businesses and oral health professionals. It provides users with online tools to schedule appointments, create clinical charts, plan treatments, prepare electronic prescriptions, and more. In this article, we cover user reviews. Ready to get started with Curve Dental? Contact their support team for more information. Users who gave Curve Dental a positive review like that the software is cloud-based, which enables them to access their files from anywhere, as long as they are connected to the internet. Several others mentioned that its scheduling and charting tools are very easy to use. One user who left a positive review of Curve Dental on Capterra commented that she doesn’t have to worry about losing information and server malfunctions since the platform is cloud-based. She added that it is the best software for dental practices with several doctors in multiple locations. 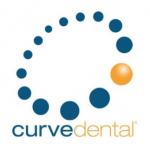 Users who gave Curve Dental a negative review said that a few of its features need to be enhanced and that more functionalities should be added, such as the inclusion of an electronic signature for patient files. Some also complained about its expensive pricing plans. One user who left a negative review of Curve Dental on Capterra mentioned that its insurance tool needs improvement, specifically in tracking whether or not the deductible on preventative work has been met. She also said that its treatment planning module should be enhanced to add a date for when the treatment plan is created. Curve Dental does not publish pricing information on their website. Its pricing starts at $350/month according to a third-party site. 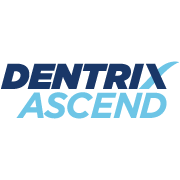 It has four paid plans wherein the respective subscription rates vary, depending on the services included and the number of doctors in a user’s dental practice. Contact them for a pricing quote. Ready to get started with Curve Dental? Contact their support team for more information. Can Curve Dental process credit card payments? Yes. Curve Dental has a credit card payment functionality that can process transactions made with all major credit cards, such as Visa, Mastercard, Discover, JCB, and American Express. Can users create multiple appointments and treatment plans? Yes, they can. Additionally, they can schedule multiple appointments under one treatment plan. Not sure if Curve Dental is the right fit for you? 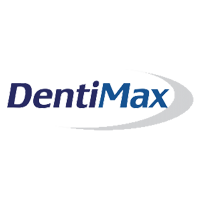 Read our reviews of all top dental software providers or check out one of these three Curve Dental competitors. This really is very proficient, since the training on the software is very good and the customer service is very responsive. The curve is always evolving, and the staff appreciates each and every one of the suggestions. Reports are extremely difficult to use and create. Sometimes, the information you are trying to review can not be achieved without a considerable amount of time the first time the report is created. Know that the add-ons with Bluefin and Fast Attach work exactly as you would expect and will work perfectly. We are a new office and we have taken the opportunity to manage the email and documents. It is an App with potential, since it has great performance and great optimization by the founders, does not require much memory to the device where it is installed, also the technical service provides a constant and secure support. However, it should be noted that it contains some details that do not give good impression to the client, how little aesthetics in the design and its range of tools, since it contains obsolete and outdated options, also unnecessary. For the moment, we think that it has a good base, with the results that this application has shown, it has some errors that can be corrected as future updates, what seems to us a point against is the clear lack of design. Ease of use is my favorite feature. 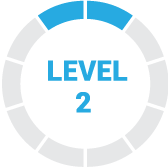 It is quite easy to train new employees and have confidence that they will navigate easily through the program. The curve is very easy to use and very easy to use. Our least favorite feature of Curve is the graphics module. It does not work the way we think it should. Although we are aware that we can not please all the people all the time, we would prefer that changes be made so that the graphics module allows a greater personalization by the user. Navigating through the program is manageable even for people with less computer skills. When we train a new staff member, I never bother to teach them the program because it is so easy to teach. 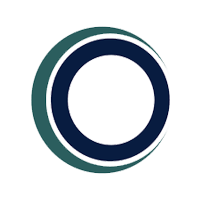 This excellent platform gives us a great design, very excellent in view of the consumer since it has a very attractive interface, in addition to having a great diversity of tools very varied. However, its technical support is very regrettable, not to say careless, since it does not have a good administration, as well as its good graphical section which causes its performance to be somewhat low and slow. We are very pleased with this application, we will be aware of the following updates, however, some minor details such as technical support and its terrible performance should be fixed. I love that the patient portal and the ability to send new patient documents is really great and saves a lot of time at the appointment. I would love for the ability to send account statements to be modified, since you need direct access to the account from the reports. It also lacks some features that other programs have. We are very happy with Curve Dental, its automatic backup to the cloud makes us feel very safe. It saves us a lot of time compared to other computer programs that I have used in the past.